Over the summer of 2017, I decided to intern abroad in Dublin, Ireland, through the Harbert College of Business at Auburn University. As someone who is constantly consumed by wanderlust, I always dreamed about hopping on a plane and studying abroad. However, I often found myself bouncing back and forth on the idea. First of all, I did not want to study abroad during the fall semester because that would mean I would miss an Auburn University football season. Secondly, I was scared of leaving behind my friends and family and lastly, as a public relations major, there is a huge emphasis on interning as much as possible in college, and I knew studying abroad would take away from that opportunity. One day, I found myself scrolling through the Auburn Abroad Program Search which is when I found the perfect opportunity; a business internship abroad. 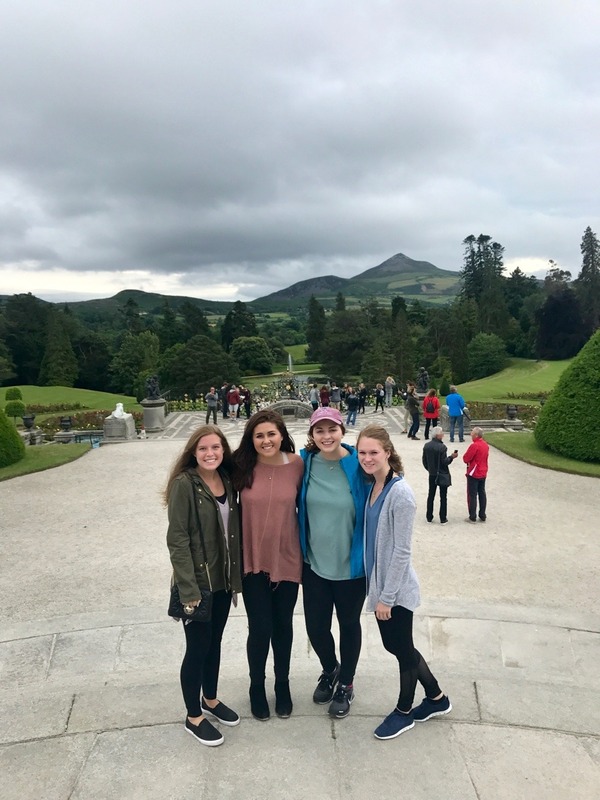 The Harbert College of Business Internship allowed me to intern abroad in Dublin, Ireland, while taking up to 12 credit hours of intensive business courses at Auburn University or online. This meant I could take a full semesters worth of classes, go abroad AND get an internship. The internship was also during the summer, so I would not have to miss Auburn. It sounded perfect so I applied and got it! The HCoB works with an Irish internship placement company called EUSA, which helped the students get their internship placements. I first had a Skype interview with a EUSA employee to find out what type of company I would fit best with. She asked me several questions such as, “what are your biggest strengths,” and “what is your dream career.” From there, I was matched with Kathryn Mason PR and Marketing where I had a second Skype Interview with the Kathryn Mason. For the last few weeks of May, I stayed at Auburn and took one week long courses. Going to a business law course from 8 a.m. to 5 p.m. Monday through Friday was not so bad when I knew I was getting three credit hours for it. Plus, the fast-paced courses taught me what it was like to work well under the pressure of time. After the courses were done, I spent about three works at home preparing for my exciting internship abroad and learning how to fit seven weeks of clothes into one suitcase. I then boarded a plane with 20 other Auburn students to Dublin. When we got there, we checked into our apartments and toured around the neighborhood. I lived with three other Auburn girls and they became my best friends. The following week, we started our internships. Interning in Dublin was way different than any internship I have ever had in America. The culture was more relaxed, but still hard-working. At my internship, I helped do entertainment pubic relations for Irish music festivals, bands and clothing brands. It was the most incredible opportunity ever. It was interesting to learn about different Irish media and writing styles. I was immersed in a completely different culture, working with people from all over the world. I learned so many different skills all while getting the experience of a lifetime. I know most students think about simply taking courses abroad, but if you have the opportunity to intern abroad, take it!